gracing this place, the state has got two gems in the form of Shimla and Manali tourism. Tourists of all ages and culture must plan at least one Shimla-Manali trip just to see how beautifully our Mother Earth can dress up. Manali keeps its doors open for the visitors round the year. But the best time to visit Manali is definitely during the summer season. Months between May-October receive high number of tourists’ footfalls. However, try not to plan a trip during the rainy months of July-August since the area is prone to landslides and the downpour can really dampen your sightseeing plans. Alternatively, if you are looking to dig your feet into the snow and to add the special experience of skiing & skating in your resume, then do walk over during the wintry days of December-February. However, you must plan a winter trip only if you have the gumption to withstand below-5 degrees of cold. Summer, though, still offers its own baggage of sports like zorbing, trekking, rock climbing, parasailing and river rafting. So, in earnestness, the best time to visit Manali is surely the months of May and June. 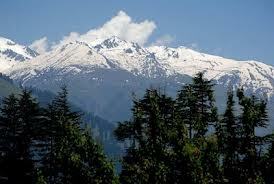 Shimla is Manali’s more popular neighbor and is not much far away. Its blissful mix of attractions makes it a very admired destination for holidaying as well as honeymooning. With a lot of nature, history and religion into its fold, Shimla’s attractions will leave you begging for more. The Viceregal Lodge, the Mall Road, Gaiety Heritage Museum, Arki Palace and Chadwick Falls are some of the best places to visit in Shimla. Tattapani is another great site where you can come face to face with some hot springs, while the Jakhoo Temple would be the ideal venue for getting up, close and personal with the Monkey God Hanuman and countless stray monkeys. Himachal State Museum, Scandal Point, Christ Church, Glen Hill, Kufri (noted for sports like ice skating), Tara Devi Temple and Lakkar Bazaar are other top places to visit in Shimla. T2india.in providing Manali TourPackages depending upon your own choice. 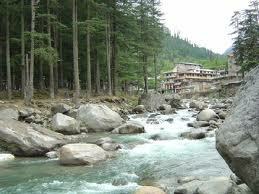 There are several packages available for Manali tour Packages. We are becoming popular day by day just because we provide tourists lots of options to choose and design their own tours to Manali. Thus, all depends upon your preference like where to go, your budget, when to go. We will provide you the complete Manali tour packages from your arrival to departure including accommodation in the best hotels/resorts, city tour, food, backwaters, sports activities and many more. It is our duty to help you to take right decisions and choose right packages to make your trip unforgettable.